These sub-assemblies have state-of-the-art technology, cutting edge engineering and the latest manufacturing procedures to provide the high level of sophistication needed in military ECM applications. Each one designed specifically for your application and optimized for your performance characteristics. 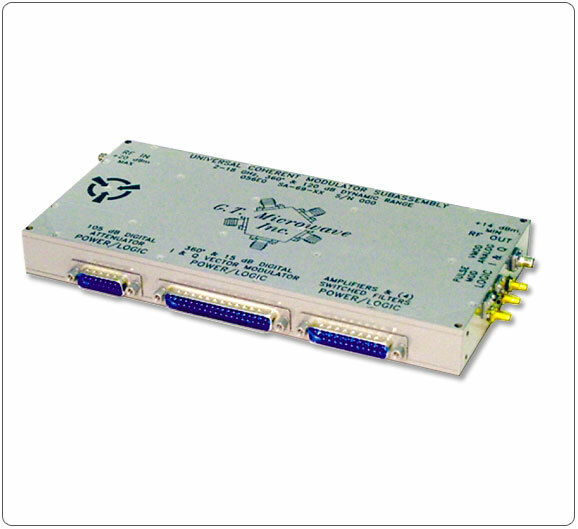 This Universal Coherent Modulator Sub-Assembly has state-of-the-art technology, cutting edge engineering and the latest manufacturing procedures to provide the high level of sophistication needed in military ECM applications that require coverage from 2-18 GHz. 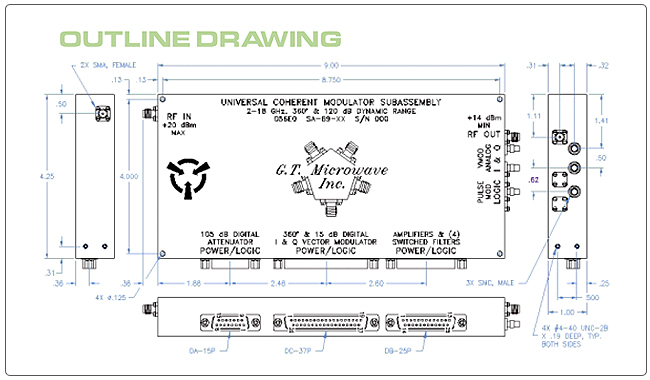 The Model SA-69-BD's modularity provides each user with exactly what they need for their particular application.